An American pika pokes its head above the grass in New Mexico. Photo courtesy of Thomas Barlow. 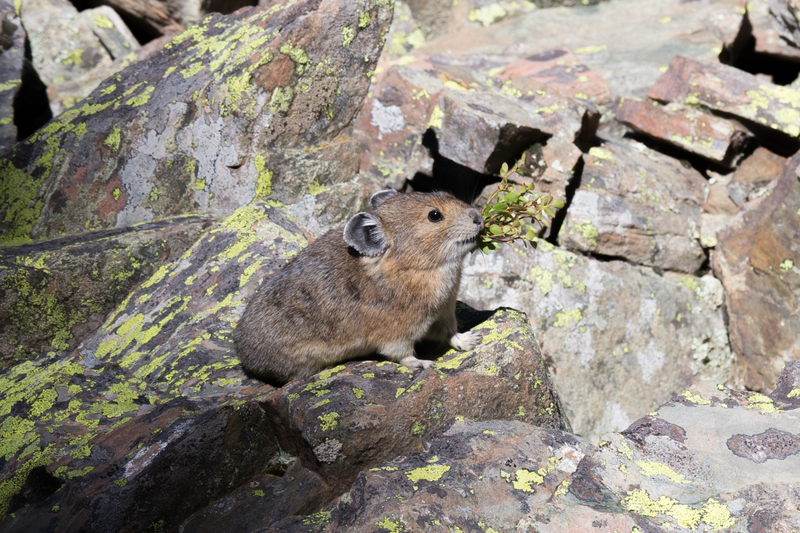 A pika carries a mouthful of forage in decent weather, possibly to store it away in its home. Photo courtesy of Thomas Barlow. With their sensitivity to overheating, pikas are an indicator species for how climate change may affect mountain-dwelling wildlife. Photo courtesy of Shana Weber. Photo courtesy of Thomas Barlow. 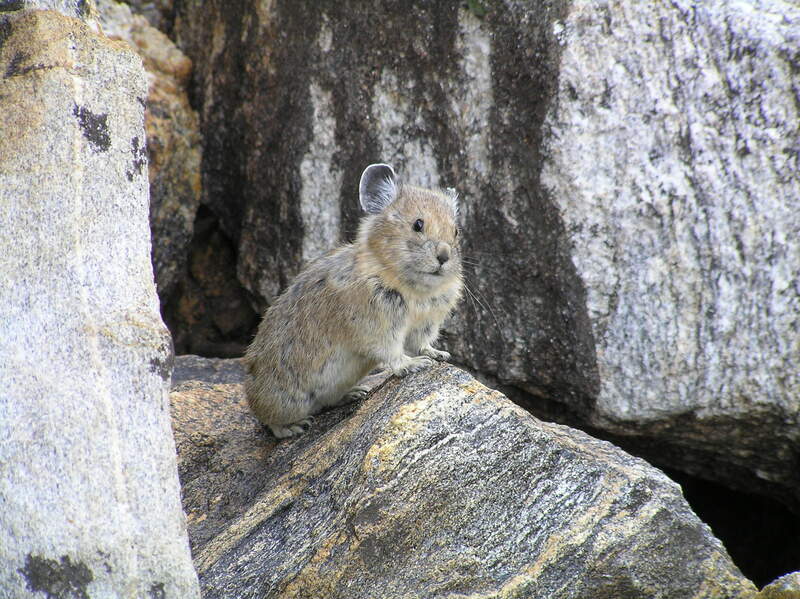 This entry was posted in Press Release and tagged Ecology, mountains, pika, press release by Zoe Gentes. Bookmark the permalink.